Alright so this is the last of post of this series, and in this one I’m going to explain what can be done once the root of the suffering is recognized correctly. (If you still didn’t read #1 & #2 plz do so before reading this post). In the last 2 posts, we’ve learned that the root of anything that bothers us is a fear which arises inside, and although it might seem often that a problem is external to us (“I’m angry because I’ve scheduled a meeting with someone who didn’t show up” – wrong) it is actually internal (“I’m angry because I’m afraid that because he didn’t show up, my business plan won’t come up as planned -> I’ll lose money -> I won’t have anything to eat -> I will die” – right). We’ve also learned how to analyze this tree of fears, till we get to the bottom of it. OK, So in order to answer this question I would like to create a seperation between 2 types of fears – The one that stops you from taking an action (quitting your job), and the one that triggers an emotional reaction (Anger, worry, low self-esteem). If this is the case, you might wanna take a look in a previous post of mine – How To Change Your Life. 2. The fear that triggers an emotional reaction (Anger, worry, low self-esteem) – This is the fear that is hiding behind all of your accusations (“I’m angry because HE/SHE lied to me”, “I hate all the politicians”…), behind your low self-esteem (“I’m ugly”, “I’m not funny/smart/good at anything”), and behind the many years of worry for all kinds of different things (Money, for example). I love these three posts! So simple yet so true. I recommend Osho (any of his books) to read more about fear, even if these posts do sum it up perfectly. Also reminds me of a book called Art & Fear: on the joys and perils of art making. Thanks for the post! Great post. A good reminder of one of my mantras “To thine own self be true.” Thank you. Well…as for me, overcoming my fears didn’t mean they went away. There’s just a major change ahead of me and nothing is fixed yet…tssssss…actually I AM afraid…that what I want possibly might not happen. Nontheless, I put every effort in it to make it happen. Just posted on my experiences of going to China 7 years ago. I got kind of panicky back then when only thinking about what I was going to do, but in the end it turned out great! And one day you finally see…and everything just shifts…and your heart opens…and life takes on a whole new meaning. Ah, peace! Very nice post and amazing picture too, life is a delicate balance but, once we find it, it’s bliss! Thank you for this series. Your words are great reminders and little kick inthe pants to “just do it”. Thank you for your contribution to the world! Amazing insights provided in all three posts. Thank you – it is so helpful to recognise fear for what it is! Fear, be gone!! I’ve looked forward to each of these posts and there is much sense in what you say BUT knowing the fear and confronting it doesn’t always change things, certainly not overnight and probably never completely. I’ve lived with anxiety all my life. I know my fear and sometimes I do deal with it but other times I am back to square one. Sometimes the fear just takes over and even though I know where it comes from and know I have dealt with this before I cannot deal with it and have to back off. It will always be a battle but sometimes I have to let it win for my sanity! Next time I will meet it head on and go through it. At least I am winning more than losing now!! I have to say that praying has helped even if at the time I didn’t think the man himself was listening. He didn’t change things but I realise he’s been along side me and given me the strength to do things that in the past I wouldn ‘t have done. As for the part about ditching a job, that is not so easy in this current climate. No you won’t die but if you have a partner and children is that fair on them? Without careful planning you could land up in debt, nowhere to live etc. Nothing is that clear cut. There are many people in the world doing things they would rather not but poverty is real to them and they don’t have a choice. Unfortunately this is not an ideal world, too many people are obsessed with the self, greed and power. Indeed a cool advice to overcome the second kind of “fear”. At times, such written methods do work in real life. Just think of the two simple words “Be Positive”. If following the road of negative thoughts, the use of above two simple words work wonders in lowering your “fear” against any misfortune. Adding a cherry to this, one can also try “all is well” – whatever happens in life is for a reason and things that do not take place do carry an extra weight. But I do believe that fear can keep you locked into that job that is keeping you miserable. Yes people have kids and a mortgage so they wouldnt quit and have NOTHING. However there is nothing to say that they cannot acknowledge their fears, acknowledge thjey are not happy and then take steps to change it. They can start by making a list of jobs that would make them HAPPY and then start applying or researching the best ways to change thier life. Well said, I have seen two people successfully follow the Just Do It but they had an amazing support network and were able to quickly move into the job they wanted. Actually both were healers. I think their subconscious and higherself were wanting them to just quit and make that critical leap of faith. I think the really important thing that I have go from this article and my conversation with you – is be aware. Ask ourselves what WE want to do, basically be conscious. I believe that if we do have a ‘purpose’ or something that we should be doing and we follow that dream or prompting – then things just unfold almost like a miracle. Mental attitude is one thing, deciding what to do another. I like Epictetus’s approach, which is that there are two kinds of problem – ones you can do something about, and ones you can’t. Regarding the former, decide what you are going to do and take the next step (and the next…). Regarding the latter, accept. In neither case is worry in the least helpful. Was just thinking about fear this morning, but this explains it so much better. I love the line about the brain re-structuring itself. Gives me hope. I just found this blog and now in a few weeks I’m going to lose it. I guess the universe has decided my path is on the streets for now. Well put. Fear is infectious and toxic to our bodies. I’m so glad people are finally taking in an open way about it. Wanted to say, thanks for stopping by my blog and liking “tell me to celebrate and i’ll punch you straight in the face. guaranteed.”! Looking forward to more posts on the “How to find the root…” series! The idea that one is ugly (which you use as an example) is usually false. Even if one has not been blessed with exquisite looks, it is the smile within that people will respond to. Thanks for liking my blog post! Very good brother, to fear is human. But we must overcome our fear, live with it & control it. The way of the samurai also try to control your fear. When they conquer the fear inside, they will fight for the best they can do, that’s all. But many times in a battle a fearless samurai end alive, the opponent died. Bene Gesserit litany against fear. so it all comes down to awareness.. thanks for making it easy to comprehend and action on! Fear is an emotion that has evolved in animals because it has survival value. There are many things we should be afraid of. The trick is knowing what things really do threaten us v. things that just think threaten us. It is always a good idea to examine your fear (and other emotions as well) I don’t think we should want it to go away. I mean if somebody is trying to stab you with a knife or push you over a cliff, your fear, if properly expressed, will save your life. Great post. I have been healing root cause fears for 20 years and your process is spot on … very similar to that described by Brandon Bays in her book, The Journey. One thing I would add is that quite often when we unlock this fear, it finds a way to leave our body … through anger. When this happens, the best way to express it is to stick your head in a pillow and scream until it’s gone (when you feel better)! Cheers! Your thoughts are mind striking and forced me to think what I do in such type of situations. 1 more thing you have lot of fans who like you. Great job. Thank you, Idolanue. Your blog is truly insightful, inspiring, and motivating! Great advice, your blog is awesome! It’s nice that you are staying, I saw you wrote that you have more stuff to say. I will be around! Thank you for stepping by my blog, have a beautiful day! So true. I guess I have problem to clean the house. Yes, I hate it. But, I still do it. 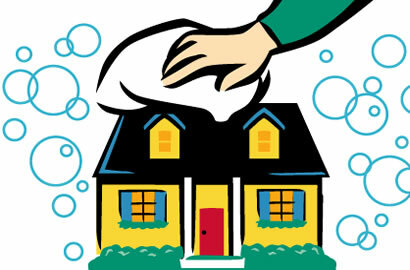 Cleaning the house allows us to live comfortable and healthy. The saying is “Feel the fear and do it anyway” (or was that ‘and’ a ‘but’)? So it boils down to just “Do it.”~?